2008. Pen & ink. 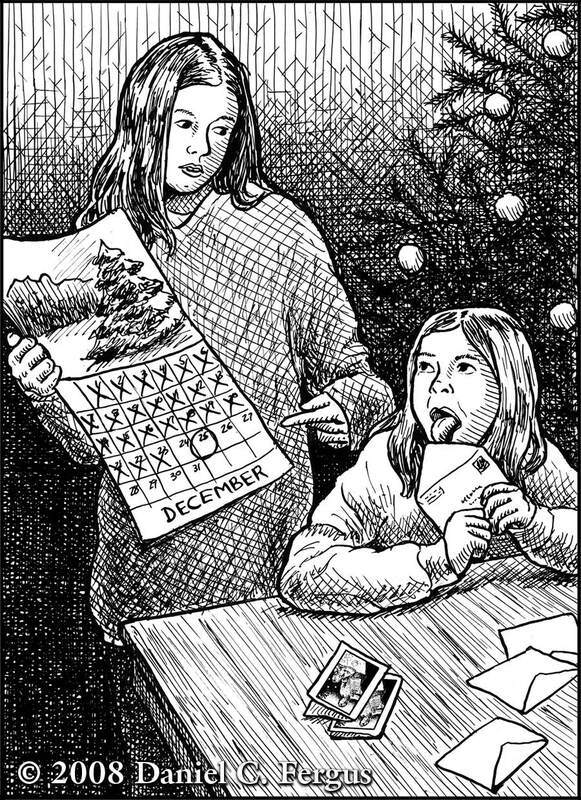 6¼" x 8¾"
We have a tendency to get our Christmas cards out late most years—primarily because it takes me a while to come up with an idea and to get around to drawing the art and then making the card. In 2008 I was working on my thesis and finishing up another graduate class so I didn’t even begin the process until mid-December. Rather than apologize to everyone for the late cards, I decided to turn the lateness into the card concept. Note the cards lying on the table—miniature versions of the larger drawing.